Recently, I was visited by Jack Pecoraro, who runs a YouTube channel called Number 27, which is all about cars. Jack was keen to road test a Porsche Cayman S for his channel, and it just so happens we have one in stock. He tempted me with the carrot of letting me drive his Lotus Esprit Turbo – a car I’d never driven before, and Jack had never tried a Cayman before. Actually, it turned out I wasn’t just driving the Lotus for fun, Jack was using it as his camera car, with GoPros clamped all around it. My job, therefore, was to chase the Cayman in the Lotus along country roads. It’s a tough life! I actually thought I’d find the Lotus Esprit Turbo a disappoint but I was pleasantly surprised. It was a great car to drive and I thoroughly enjoyed it. Although, I have to admit that when I got back into the Porsche Cayman, I realised just how much more refined the German car was! And what did Jack think of his first drive in the Porsche Cayman? Watch the film to find out. 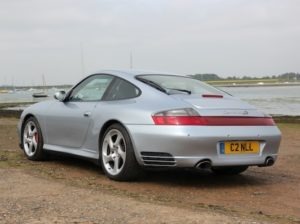 And if it whets your appetite to buy a Cayman please click here for details of the car featured. 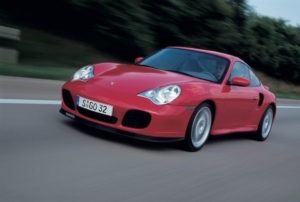 Porsche 911 – the ultimate eco car?